A senior doctor at a government-run facility advised people to take all precautions, like wearing full-sleeves and not allowing the breeding of mosquito larvae inside their homes. 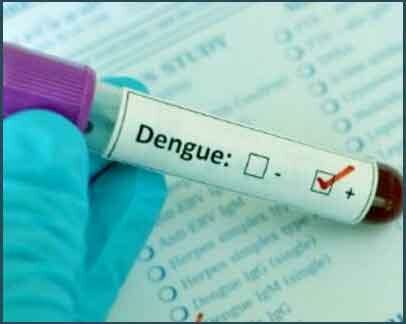 NEW DELHI: Dengue cases have spiralled in the city over the past two weeks, with at least 650 people being diagnosed with the vector-borne disease this season, according to a municipal report released Monday. The report says nearly 170 of the cases came to light in the first week of October alone. Also, 347 cases of malaria and 89 of chikungunya have been reported this season till October 6, according to the report. Of the 650 dengue cases in 2018, 169 were reported in the first week of this month, 374 in September, 58 in August, 19 in July, eight in June, 10 in May, two in April, one in March, three in February and six cases in January. Two cases of malaria were reported in February, one each in April and March, 17 in May, 25 in June, 42 in July, 82 in August, 138 in September and 39 till October 6, according to the South Delhi Municipal Corporation (SDMC), which tabulates data on vector-borne diseases for the city. “Water coolers should be dried up when not in use as dengue infection carrying mosquitoes breed there a lot. Mosquito nets should be used at home,” the doctor said. The report said domestic breeding checkers found mosquito breeding in 1,92,928 households in the city till October 6. It said 1,58,067 legal notices have been served for various violations and “22,240 prosecutions initiated”. As a pro-active measure, Delhi Lt Governor Anil Baijal had few months ago directed local bodies and other agencies to intensify vector-control measures.